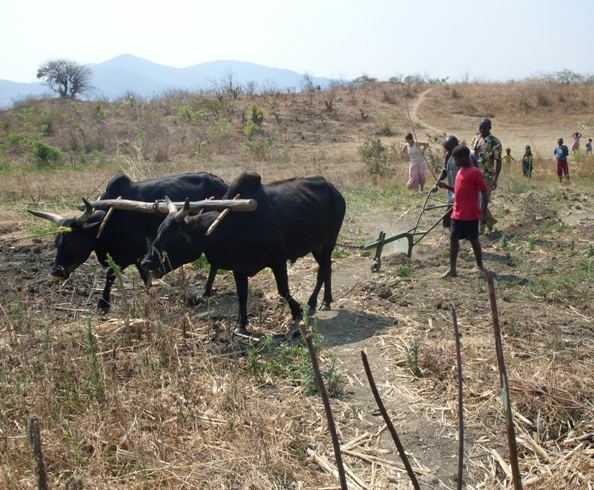 Funds raised were used to provide a plough and ridger for the villagers of Jumbo, a village approximately 30 miles northeast of Ekwendeni. Villagers already owned a pair of bullocks which were used to pull a cart. They are now able to plough in 8 days the ground that formerly took around 10 weeks to prepare by hoe, enabling them to increase the yield of their land. In addition, the equipment can be hired out to other, nearby villages, thereby providing some income to Jumbo and helping to lift the people out of the poverty trap.